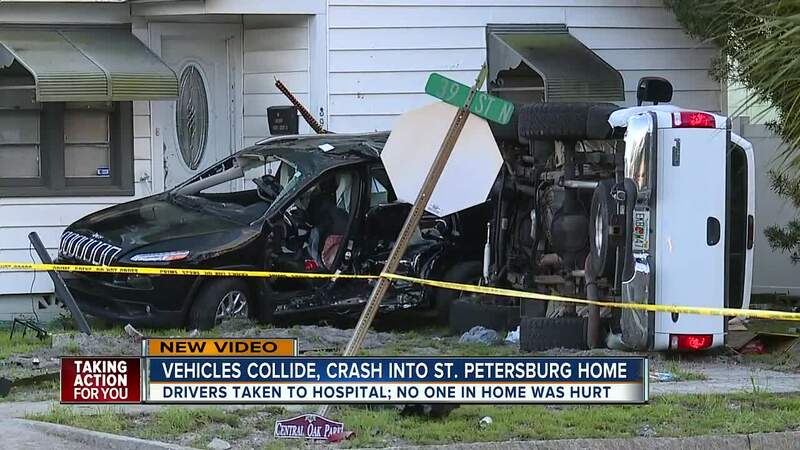 ST. PETERSBURG, Fla. — One person was injured after two vehicles collided before crashing into a home in St. Petersburg. According to St. Pete Police, just before 6:30 p.m. Friday night, a pickup truck collided with a Jeep, forcing the jeep into the porch of a house on 2nd Avenue North in St. Pete. The woman who was driving the Jeep was taken to the hospital with unknown injuries. The driver of the pickup is being questioned and will also be taken for a medical check, police say.